Trigeminal Neuralgia is exceeding common in Malaysia. Treatments offered fare often flawed and most just suffer needlessly. The good new we can share is that our clinical Physiotherapy and Chiropractic in Malaysia can help even with Trigeminal Neuralgia conditions that others failed to get better. If you are over the age of 50 years and you have sharp, shooting, lancinating pain in your face or head, you might be suffering from trigeminal neuralgia. Trigeminal nerve carries sensory information from the forehead, temporal region, cheek, mandible, mouth, and jaw. Attacks of pain usually last from a fraction of second up to 2 minutes. The pain can be triggered by any factors that are irritating or stimulating the nerve, such as light touch over the affected area or chewing food. There are two types of trigeminal neuralgia: classical and symptomatic. Classical trigeminal neuralgia is attacks of pain without neurological loss and lack of underlying cause. Symptomatic trigeminal neuralgia causes the neurological deficit, and there is an identified underlying lesion. The nerve fibers of upper cervical segments and the trigeminal nerve converge and terminate on second order neurons in the trigemino-cervical nucleus within the upper cervical spinal cord. As a result of this convergence mechanism, irritation of structures innervated by upper cervical segments can cause pain felt in areas innervated by the trigeminal nerve, and vice versa. Central sensitization of the nerves in the spinal cord will lower the pain threshold and will lead to many associated head and neck pain syndromes. Individuals with face, neck and head pain may have multiple sources of pain. Trigeminal nerve, cervical spine and musculature, temporomandibular joint and different types of headaches may be contributing to the pain. Therefore, a detailed treatment plan that addresses the contributing sources of pain should be able to alleviate the symptoms of trigeminal neuralgia. However, it should be noted that it is unlikely to completely resolve trigeminal neuralgia. 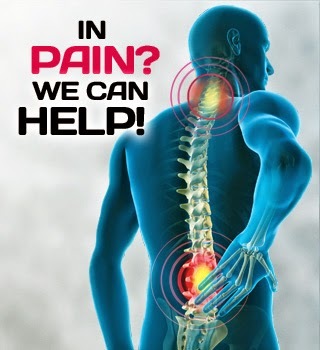 The best advice we can give you is to visit one of our Chiropractic centers in Malaysia today. Our clinical teams of physiotherapists and chiropractors will need to assess your jaw (for TMJ and Jaw Pain Treatment), neck (to evaluate for Cervical Spondylosis), upper back to identify the root-cause. Once we have identified the root cause, treatments began. Our Trigeminal Neuralgia treatment in Malaysia is through non-invasive holistic methods of physiotherapy and chiropractic in Malaysia: visit us or call our main center at 03 2093 1000 for center and services.